Tokunation › TokuNation › Contests and Giveaways › Toku Toy Box 2014 Giveaway Announcement! 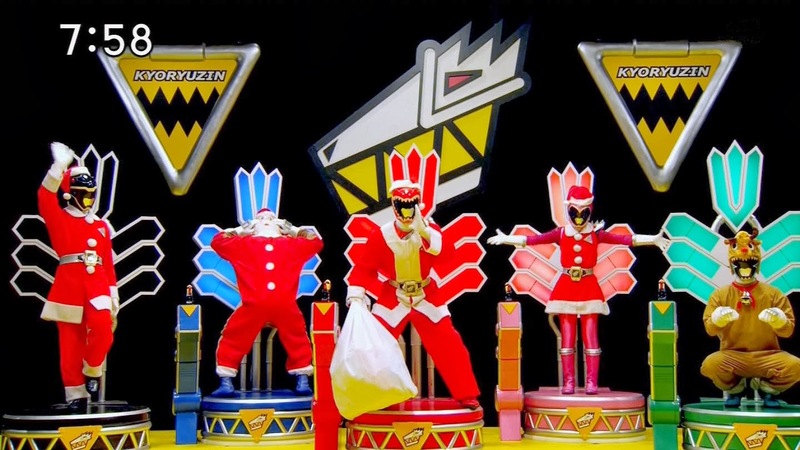 Toku Toy Box 2014 Giveaway Official Details! TokuNation's annual giveaway Toku Toy Box has returned! To celebrate the holidays this season and our 3 year anniversary we've assembled the latest and greatest in our series of annual giveaways! Read on to find out how to enter! The really good news is that you may actually have already entered into our contest without realizing it! Kicking off our coverage of Dino Charge product were two galleries. The Dino Charge Megazord Gallery & the Dino Cycle with Red Ranger Gallery! If you've already posted in either of these threads, or do so between now and January 4th, you're name is already entered! And every time we post a new gallery you'll have yet another chance to be entered into our giveaway! For now, check out our 4 MASSIVE prize packs! Thank you to all of our members for three incredibly amazing years, especially this last one here in 2014. From staying up super late at night online with Den-O waiting for the ToQGer reveals, to the Talkin Toku live-chat the morning of Toy Fair when we had the world exclusive first-look at their 2014 offerings, to an amazing SDCC 2014 where fans finally got through to Bandai as they changed their purple Triceratops back to pink, to Power Morphicon and joining the Power Force for Saban Brands, to all the incredible things waiting in the pipes for 2015. Thanks for being part of this adventure with us and I hope to keep doing this every holiday season so we can celebrate YOU. Well this is an awesome giveaway year. Even if I dont win, thank you to all yall who help run the site and make it awesome for the rest of us. These really are great prizes. Cant wait! Can't wait to see the new galleries. Tokunation has become one of my go to sites for american and Japanese toku news and collectable reviews. The community is great. Thanks guys. Can't wait to see those photo galleries. Oh man I really hope I win this year. I haven't entered any giveaways on this site so far, so I guess it wouldn't hurt to try this year! And to think, a year ago tomorrow I joined all because of some space pirates and a fruit samurai after coming off from one of the biggest emotional crashes I've ever had. You guys have done a lot to make what would've been a difficult and miserable year awesome. Mods, community, all of you. I love this time of year and this website! Godoka bless all of you!